By Marija Šestan | Published 2. July 2017. This charming and specious apartment decorated with touches of shabby chic style is ideal for families or a group of friends. 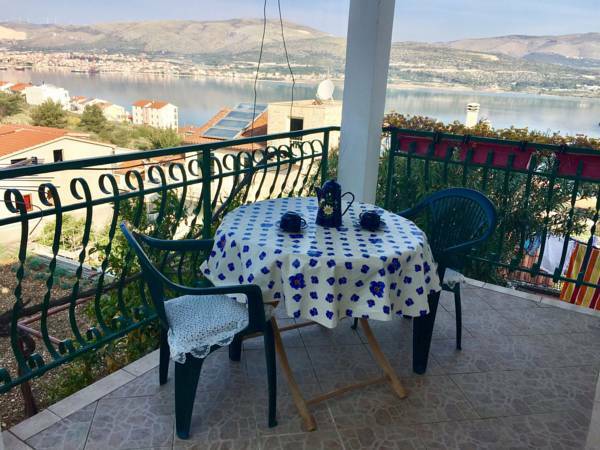 Lovely terrace with a beautiful sea view and a balcony all along the side of the house gives you an opportunity to enjoy the maximum of Mediterranean climate, lay back in the shade or catch some tan. This article was posted in Apartments, Realestate. Bookmark the permalink. Follow comments with the RSS feed for this post.Both comments and trackbacks are closed. © 2019 Trogir Area. All Rights Reserved. Theme By: TidyThemes.